Gotemba Kogen Weizenbock is based on the traditional German style which is a stronger version of an hefeweizen or unfiltered weizen. This one weighs in at 7% ABV and is available in a variety of sizes from the online Gotemba Kogen store. Besides that, not much else is known about Gotemba Kogen Weizenbock as there is a distinct lack of information about this beer. 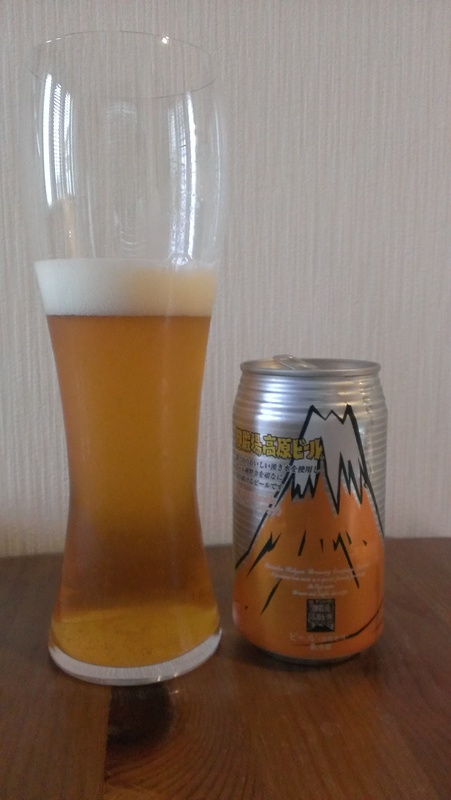 At 7%, this weizenbock is Gotemba Kogen Beer’s strongest by far. Gotemba Kogen Weizenbock had the appearance of a regular pilsner lager when I poured it into the weizen glass I was recommended. The body was a light golden colour with about a one, perhaps two if you have small fingers. I must admit I was disappointed when it settled down but the aroma more than made up for it. Gotemba Kogen Weizenbock had the aroma of a typical weizen but the typical banana smell was muted. There was a peculiar aroma of caramel and even some cream in the mix. Don’t know where that came from. Gotemba Kogen Weizenbock is 7% and has a wee kick of that alcohol when you do drink it but not enough to overpower the beer. The wheat flavour is the first one that your taste buds will notice but the is an undercurrent of banana and malt as well. Gotemba Kogen Weizenbock finishes off with a tinge of bitterness and spice that pairs nicely with the bananas. Gotemba Kogen Weizenbock is Gotemba Kogen’s best one by far that I have tried. If you find it in a store, pick it up. We got our can of Gotemba Kogen Weizenbock direct from the brewery on a recent visit down to Shizuoka; however, you can order a 12-pack online here.